"Elderberry " bush but more like a tree... almost like a "Sumac" type leaf. 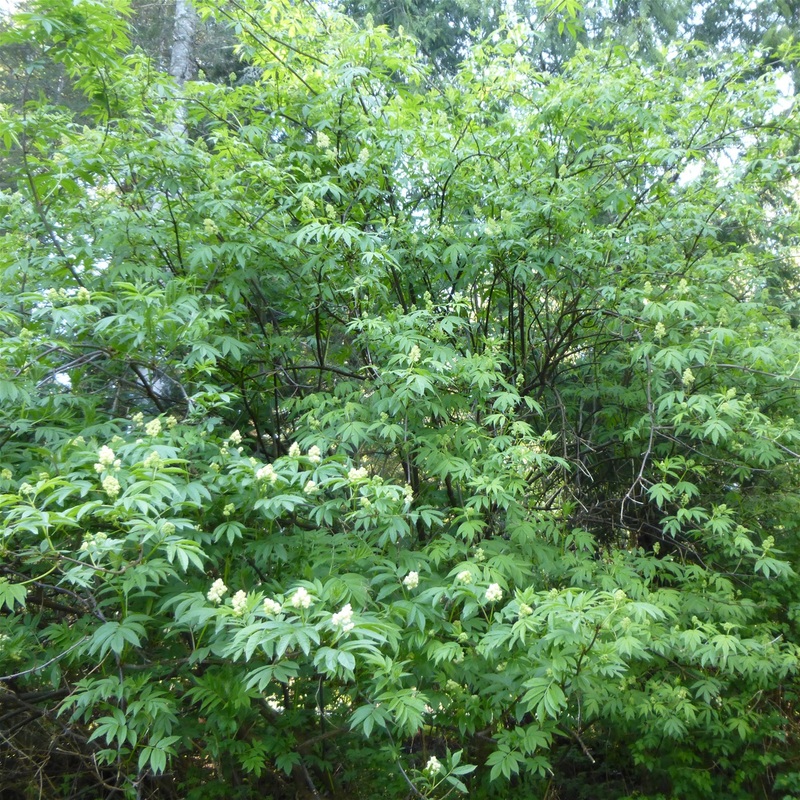 This Elderberry is about 25 feet tall. We have others on the property.